 They come in a wide variety of colours, but the four recognised by the Cat Fanciers Association are natural, champagne, blue and platinum. Furthermore, there are 3 coat patterns – colourpoint, mink and solid, so there are 12 possible colour combinations. 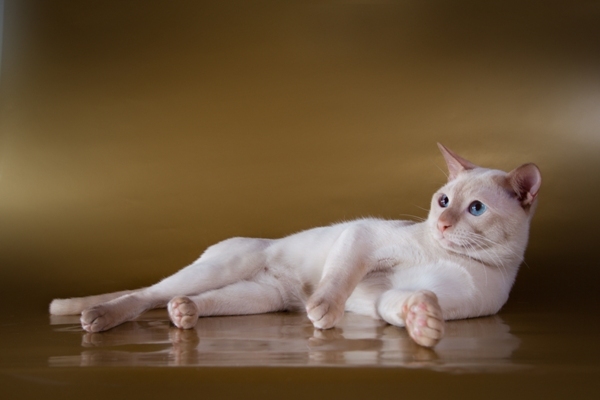 Tonkinese weigh between 2.5 and 5.5 kg and their lifespan is 10 – 16 years. 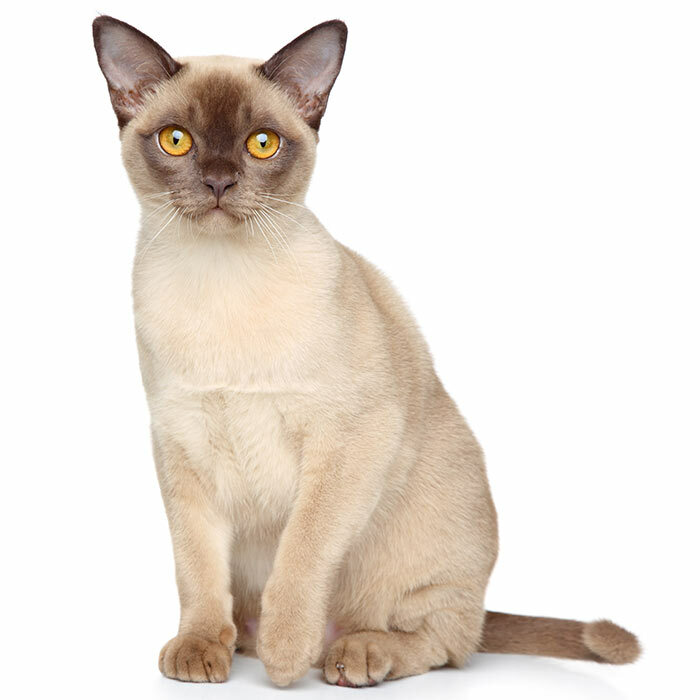 The Tonkinese is a perfect blend of the Siamese and Burmese breeds.  They are active, but not overactive, and are just as happy to entertain their owners and guests as they are to relax on the couch. Tonkinese cats are affectionate, amusing, talkative, and notoriously great with children. They love to be involved and will follow you around the house at your feet or even on your shoulders as you go about your day. This is not an independent, snobby breed.  Almost dog-like, the Tonkinese does not like to be left alone for long periods of time, so it is recommended that you keep it occupied with another pet, such as another cat or a dog. What are the most common health issues for Tonkineses? Hyperesthesia syndrome. 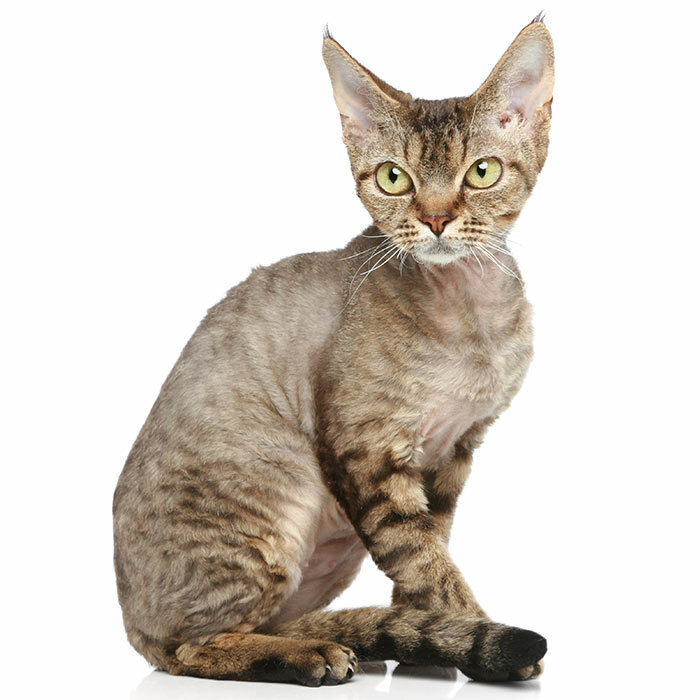 This is a neurological condition which causes cats to groom themselves excessively, resulting in hair loss and agitation when touched. Gum disease. Tonkinese can be prone to gum diseases and should be examined regularly as some gum diseases can be potentially life-threatening. Their teeth should also be brushed frequently to prevent periodontitis, which can lead to kidney and heart problems. Other issues. The Tonkinese may also be prone to asthma, crossed eyes, megaesophagus, lymphoma, and nystagmus (a neurological disorder causing involuntary rapid eye movement). The Tonkinese was created by crossbreeding the two Southeast Asian breeds, Siamese and Burmese. The aim was to create a cat which shared the best physical and personality traits of the two breeds. In the late 1930s, Dr Joseph Thompson imported a so-called “chocolate” Siamese from Myanmar to the US. In reality, many of the “chocolate” Siamese in Thailand and Myanmar were in fact natural matings between stray Siamese and Burmese cats. 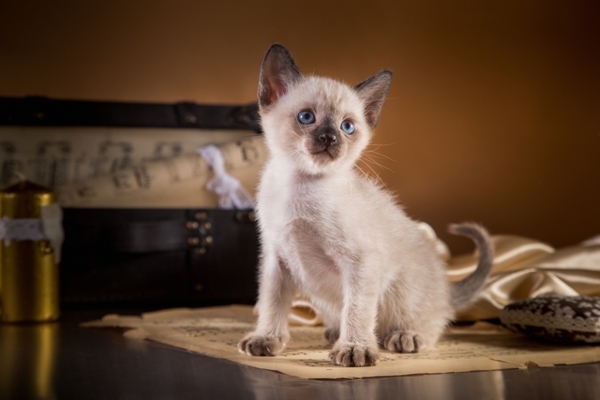 Even though these matings had probably been occurring for many years, they were not intentionally bred until the 1950s, when Milan Greer began to cross Siamese and Burmese cats, calling the resulting kittens “golden Siamese”. Greer ceased his breeding program but it was continued by other breeders. 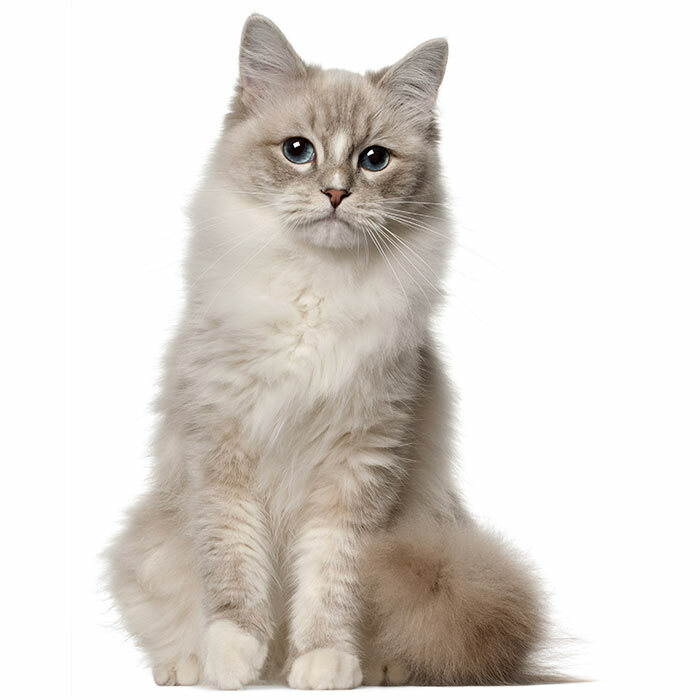 The first “Tonkanese” was registered by the Canadian Cat Association in 1967, but the breed was not recognised by the Cat Fanciers Association until 1984. The spelling “Tonkanese” was supposedly a reference to the musical South Pacific, which was set on an island where there was no discrimination against “half-breeds”. After confusion about the spelling, it was officially changed to “Tonkinese” after the Bay of Tonkin in Vietnam in 1971. 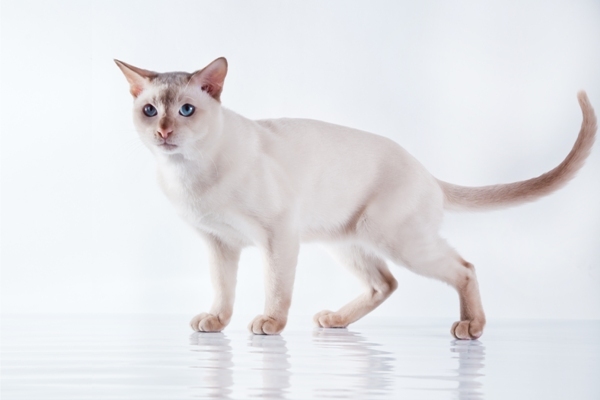 As of 2013, the Tonkinese is the 17th most popular pure cat breed in the USA according to the Cat Fanciers Association. A Tonkinese cat named Shun Gon appears in the Disney film The Aristocats. 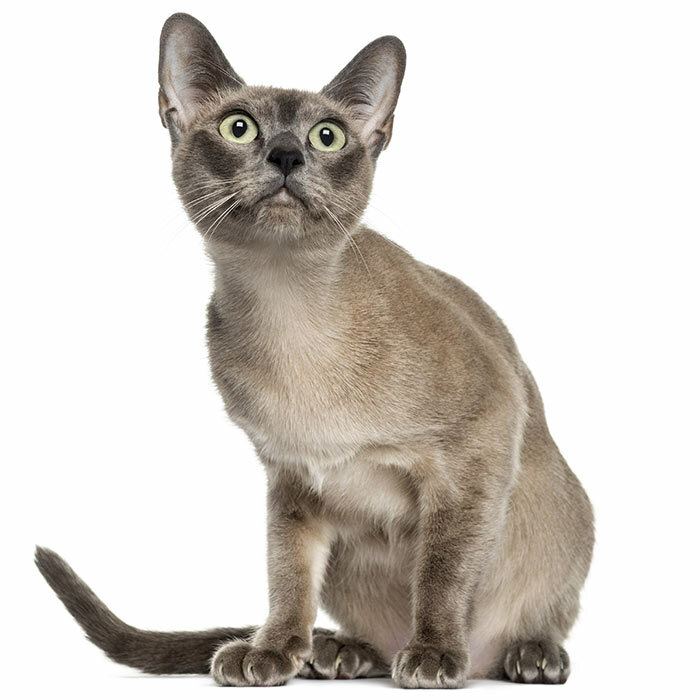 Despite their name, the Tonkinese Cat has no real link to the Bay of Tonkin in Vietnam. Tonkinese cats have a belly flap – a primordial pouch thatprotects the belly during fights and provides extra room if the cat eats too much.